Meaning in Sanskrit ‘alive, ‘lustre, ‘beauty’ and ’protection’. In Hebrew, Chaya means 'life’, or to 'live'. We feel that this perfectly describes what we hope to create through our retreats. The possibility of seeing and feeling the beauty of life anew. 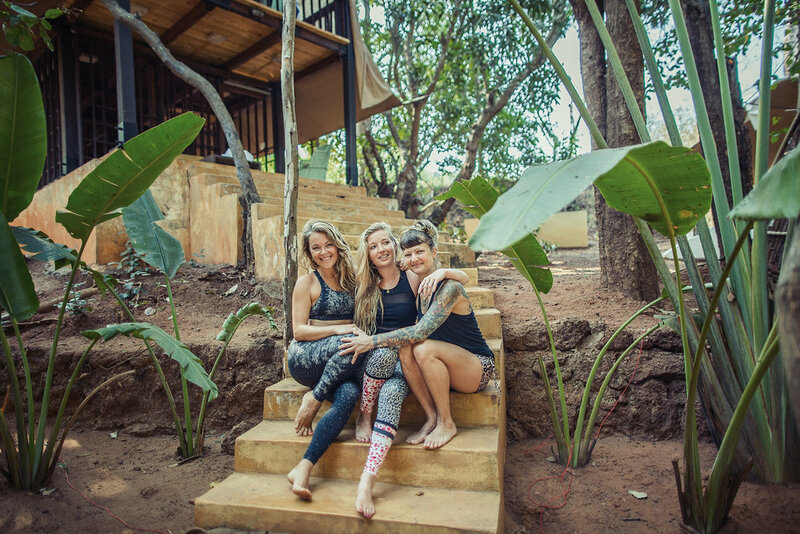 Chaya Yoga Retreats were founded in 2012 by three dear friends from a shared love of yoga, healing practices, travelling the world and a general lust for life. Born from the belief that it's only when we feel truly alive, that we experience the full beauty of life, Chaya Retreats are unique and inspirational breaks for people who want to feel, look and think better. Each of our retreats is uniquely curated to bring to life a theme, practice or intention Lucy Hill, Chaya Founder, is personally working with. She carefully and intuitively weaves this through each element of the retreat experience, choosing the teacher, menu, location, collaborative therapist or healers to align. We combine the ancient practices of yoga, with wellbeing food and rejuvenating therapies; always set within incredible surroundings. And featuring some of the world's most stunning backdrops. Every retreat also includes an educational element, such as a wellbeing food workshop, to enable our guests to integrate a little of their retreat experience in to their daily lives. Our retreats are for relaxation, transformation and rejuvenation. And we promise guests the ultimate nourishment for their mind, body and spirit. It’s our highest intention and privilege, to create a space for you to become more connected to yourself, to others and to the world. And in turn shine at your brightest. Chaya Yoga Retreats. Rest for your mind. Love for your body. Pure joy for your heart.